Drowning is one of the major causes of trauma but its process is still misinterpreted mainly due to underreporting and the lack of terminology consensus worldwide. 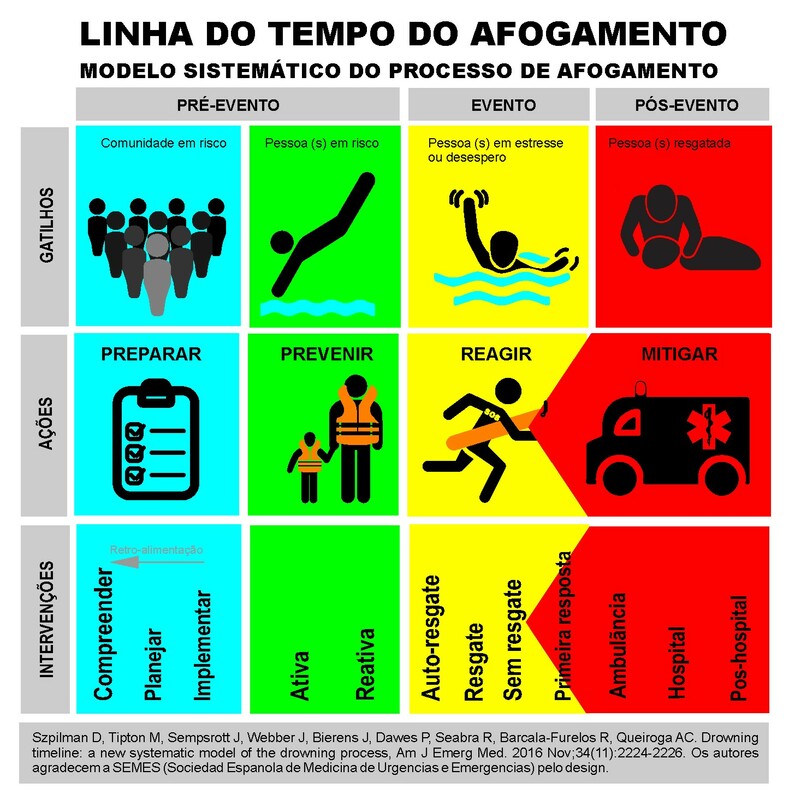 This study provides a description of every constituent of the drowning process, highlighting triggers, actions and interventions from a temporal perspective. 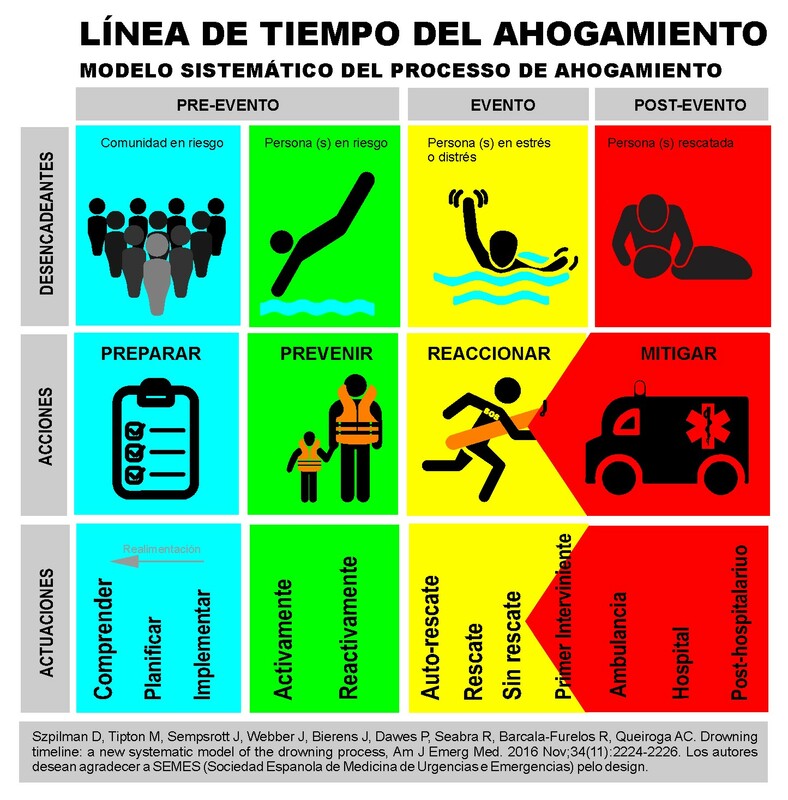 Concepts in trauma prevention from peer-reviewed literature were used to draft a timeline of the drowning process and submitted to a group of drowning researchers via a Delphi process. 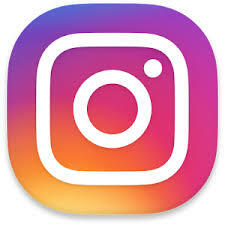 A subsequent version was then presented and discussed in international forums and a final round implemented. 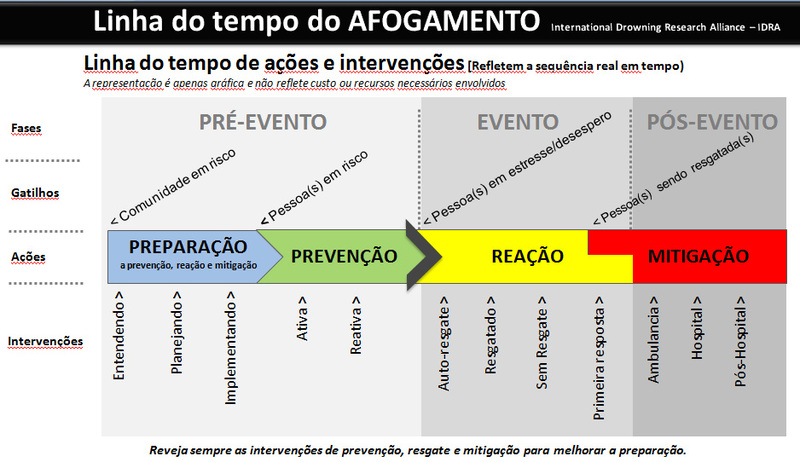 The proposed model defines the drowning process as a temporal sequence of: Pre-event; Event and Post-event. 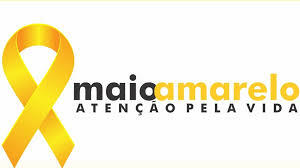 Pre-event includes all preparation taken to enable prevention, reaction and mitigation, as well as the necessary preventive actions (active or reactive) to deter the incident from occurring. The EVENT phase starts with a person in stress/distress, immediately triggering a reaction comprised of three possibilities: self-rescue, rescue and no-rescue. Mitigation begins while the event phase is still ongoing and continues after extrication has ended in the POST-EVENT phase. Outcomes can be survival or death from drowning. 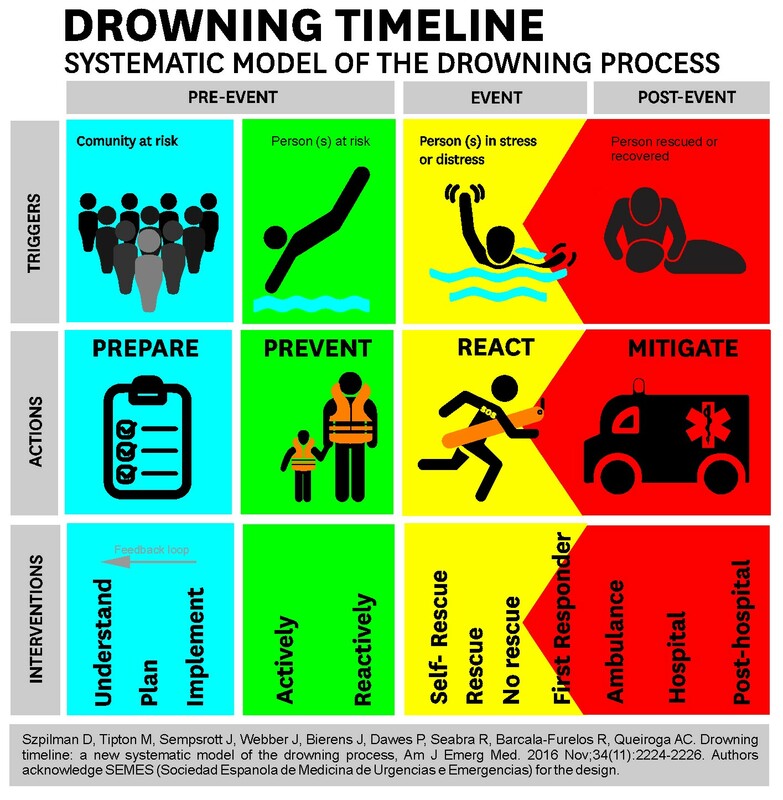 The proposed timeline constitutes a powerful tool to improved data collection drowning, contributing to a better understanding of the process to effectively prevent, react and mitigate it. It also highlights the prioritization deployment of resources allowing for the measurement of future cost/benefit ratios related to outcomes in terms of public health, financial aspects, political scope and social impacts.